Piedra Valley Ranch offers the rare opportunity to acquire a large, contiguous block of beautiful and essentially untouched land in immediate proximity to one of Colorado’s favorite mountain communities. Blessed with the look and feel of the great national parks, Piedra Valley Ranch’s peace, privacy, and tranquility are unrivaled. Cody comes from old-line Colorado and New Mexico families with deep ties to the land along with a rich skiing heritage. Cody was born and raised in northwest Colorado in Routt County and subsequently in central New Mexico where he moved later in his youth. He received his Bachelor of Arts degree in Political Science from Carleton College and his law degree from the University of New Mexico. Fluent in Spanish, Cody studied Political History abroad in Argentina. A former fly-fishing guide, Cody is a knowledgeable outdoorsman, passionate big game hunter, and wing shooter. He joined Hall and Hall in 2013 after practicing as a real estate attorney and managing a legal staff for five years in Albuquerque, New Mexico. 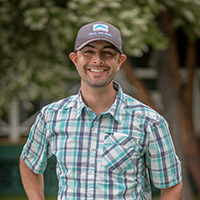 Cody resides in the Yampa Valley along with his wife and two young children. Blessed with tremendous views of the dramatic San Juan Mountain Range, Piedra Valley Ranch is distinguished by an unequalled combination of size, recreation, wildlife, scenery, and immediate proximity to a mountain resort community. Located within ten miles of Pagosa Springs and the Stevens Field Airport, the ranch is easily accessed and provides the rare opportunity to possess a large and exceptionally private holding within a few minutes of the amenities and conveniences of town. This vast 9,600± acre retreat is comprised of a single contiguous block that shares nearly nine miles of common boundary with the San Juan National Forest. The diverse landscape includes thousands of acres of aspen and pine forest, timbered mountain slopes, lush meadows, and open pasture interspersed with forested bluffs and ridges. A private lake, numerous ponds, and miles of creeks provide excellent water resources for livestock, wildlife, and recreation. The ranch is appropriately improved with a six-bedroom owner’s residence and lakeside cabin complementing the natural landscape. A separate cow-camp house and shipping pens round out the improvements. In addition to limitless recreational amenities including excellent big game hunting and angling, native grasses in multiple pastures provide cattle with strong summer pasture. With no existing conservation easement, the ranch is open to a wide variety of future uses. Piedra Valley Ranch enjoys a striking and exceptionally private setting that is distinguished by some of the most remarkable vistas in Colorado. Undulating topography gives the ranch its expansive character and provides a rare combination of seclusion and ease of access. The landscape is such that there is a natural buffer allowing one to see out but not in. Indeed, the immediate proximity of Pagosa Springs is forgotten once one enters the ranch. This property is large enough that it enjoys two distinct topographical and biological zones. The western half of the ranch is more mountainous with over 4,200 acres of ponderosa pine, spruce, fur, and aspen covered terrain. The lower elevation eastern side is more open with well-grassed pastureland comprised of broad valleys with numerous ponds, long ridges, and rolling hills with ponderosa and oak-laden slopes. Beginning at the northeastern corner of the ranch, elevation starts at 7,800 feet and rises gradually to south and west, topping out at 8,870 feet at the timbered summit of Corral Mountain as well as along the slope of Middle Mountain at the southwestern corner of the property. The main residence is located in the southern portion of the ranch. Sited atop a small bluff at the base of Corral Mountain, it is oriented to take in sweeping views of the ranch and snow capped peaks to the north and east. Despite its broad viewshed, the home is privately sited and sheltered to the west and south by stands of ponderosa pine. Access to the ranch from Piedra Road (also known as County Road 600) is through a locked gate at the southeastern corner of the property. Once inside the gate the road heads west, passing by a large pond that is home to an abundance of waterfowl. From the pond the road leads into stands of towering ponderosas and a driveway leading to the main residence. Beyond the turnoff to the driveway the primary internal road runs south to north through the core of the Piedra Valley Ranch. Running the length of the property through a series of long parks, it also effectively bisects the ranch into the western and eastern halves. The eastern portion of Piedra Valley is largely comprised of undulating grasslands, bluffs, and long ridges interspersed with numerous draws harboring ponds. Favored by wildlife and livestock, this easy but diverse terrain holds rich grasses and a number of water resources including two small creeks and a stream. Plumtaw and Cottonwood Creeks enter the property at separate locations along the eastern fenceline. Both creeks harbor small trout and run west through the property for roughly one third of a mile before converging and forming the head of O’Neal Creek. From this point of origination, O’Neal Creek meanders through open grasslands in the northeastern corner of the property for over four and one-half miles. Draining to north and west, O’Neal Creek is a low gradient tributary of the Piedra River that holds small trout. The head of O’Neal Creek is located just below the shipping pens and cow-camp house – both of which are conveniently located off of County Road 600. The road follows the eastern and northeastern perimeter of the ranch except where it separates the cow-camp house and small and separately fenced pasture from the main property. Ant Hill, a local landmark, is located south of the cow-camp house and just inside of the eastern edge of the property. Though enveloped with oaks and pine, this notable nob is aptly named as its shape resembles that of a large ant hill. One of the most notable features of Piedra Valley Ranch is the Oak Mott. Located at the center of the property but in the eastern half, the Oak Mott is a long ridge with a series of benches, draws, fingers, and hidden valleys. A favorite bedding ground for the ranch’s resident elk herd, the Oak Mott provides wildlife with a favorable mixture of good grass, dense stands of oak, ponderosa pines, and open meadows. Because of its importance to the resident elk herd and proximity to nearby water sources, the Oak Mott is considered the ranch’s sanctuary area and no hunting has been permitted on or around it. Along its southwestern boundary, the ranch adjoins the San Juan National Forest and corners high on the timbered eastern slope of Middle Mountain. Devil Creek enters the property from the national forest along the western fenceline, separating Middle Mountain from Corral Mountain as it flows south and east through a series of ponds in a narrow canyon. Set below stands of pines and cliff faces, the ponds provide angling for rainbow and brook trout and are easily accessed by ranch roads. As the canyon drops in elevation, the pine and aspen forest gives way to stands of mature ponderosa pine and open parks. From Devil Creek, elevations rise north up to Corral Mountain and thousands of acres of aspen, oak, fir, and spruce forest. Corral Mountain serves as the western flank of the ranch and runs south to north within the property for nearly 4.5 miles. The top of Corral Mountain is essentially a forested mesa with easy terrain that is interspersed with open parks. An internal road runs the length of Corral Mountain and provides access points from the north and south, with an additional spur coming in from the center of the mountain to the east. As it runs to the north, the road follows the property fenceline that separates the ranch from the national forest lands to the west. No vehicle use is permitted on the national forest lands to the immediate west of the ranch which further insures privacy. At the northwestern end of Corral Mountain elevations fall off dramatically to the west and into a deep canyon through which the Piedra River courses. Here, the internal road provides access to a number of overlooks set atop cliff faces. From these perches one can look down into the Piedra River and across to the snow-covered peaks of the South San Juan Mountain Range to the north. The northern tip of Corral Mountain breaks off into broad slopes separated by a series of rugged canyons. A side road branches off of the main thoroughfare here and runs north to the national forest property line. This offshoot provides ownership with a convenient point of walk-in access to the Piedra River. From the eastern rim of Corral Mountain one can survey the ranch and appreciate its sprawling and varied terrain. Beyond the far eastern fenceline views extend to Pagosa Peak and nearly 20 miles beyond to the rugged rock faces and alpine peaks comprising the Needles, Blackhead, and Squaretop Mountain. The eastern slope of Corral Mountain is heavily timbered at its higher reaches but transitions into stands of aspen, oak, and ponderosa pines at lower elevations. O’Connell Lake sits along the northeastern base of Corral Mountain. This impoundment is over 11 acres in size and has long been utilized by ownership and guests for angling. The lake cabin sits atop a knoll immediately north and above the lake in a ponderosa forest. Piedra Valley Ranch anchors the Upper Piedra area of northern Archuleta County, Colorado. Encompassing its own private valley and mountain, the ranch is adjacent to the San Juan National Forest and a short walk away from the Piedra River. The primary entrance gate is located less than 10 miles north of Pagosa Springs with year-round access provided by Piedra Road (CR 600). Piedra Road is paved for the first 6.5 miles out of Pagosa Springs with the remaining 2.7 miles comprised of well-maintained gravel road. Piedra Road connects with State Highway 160 which serves as the main thoroughfare for Pagosa Springs and provides direct access to Durango and the Durango-La Plata County Regional Airport– a one hour drive to the west. Stevens Field Airport is 8.75 miles south of the ranch on Piedra Road and offers an 8,100 x 100 foot runway and updated FBO facilities with a full range of services and amenities for private aircraft. Piedra Valley Ranch is situated on the northern end of a broad basin surrounded by timbered slopes and dramatic peaks. The backdrop of the property is the South San Juan Mountain Range, of which Pagosa Peak and Toner Mountain are the most prominent summits. Rising above timberline to an elevation of 12,640 feet, Pagosa Peak is one of the most notable peaks in the region and provides the ranch with some of its most dramatic views to the east. Views to the west are comprised of mountain slopes and dramatic vistas overlooking the Piedra River as it passes through a deep and rugged canyon. The ranch shares nearly three quarters of its boundary with national forest lands and the balance with smaller private landowners. The Pagosa Springs area of southwestern Colorado is known for its valley setting, dramatic alpine views, numerous rivers, and geothermal hot springs. A welcoming and vibrant mountain community, Pagosa has attracted a friendly and diverse mix of both residents and visitors. In addition to its natural beauty and abundance of outdoor recreational opportunities, Pagosa provides a full suite of dining and shopping options, as well as museums and an attractive river walk. The scenic downtown is complimented by hot springs resorts and spas along the banks of the San Juan River. 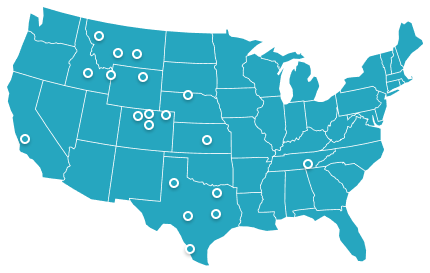 Pagosa Springs is home to modern health care facilities and both public and private schools. Just 23 miles from downtown is the Wolf Creek Ski Area, an outstanding ski resort with an annual average snowfall of 465 inches. Pagosa Springs is the county seat of Archuleta County and is home to roughly 1,700 residents. Encompassing 1,364 square miles, Archuleta County’s total current population is estimated at just over 12,000. The San Juan National Forest consists of 1,869,931 acres and comprises nearly 50% of Archuleta County. Archuleta County is home to the East and West Forks of the San Juan, the San Juan, the Piedra, and the Navajo rivers. Located at an elevation of 7,000± feet and receiving an average of 300 days of sunshine, Pagosa Springs is located in “Colorado’s Sunbelt”. Summertime temperatures reach into the high 80’s and occasionally the low 90’s, while average winter lows vary between the mid-20’s to mid-30’s. Boasting a remarkable year-round climate, the average snowfall is approximately 100 inches, with annual precipitation slightly over 20 inches. The Piedra Valley Ranch traces its roots to the earliest days of Colorado statehood when the nascent state traded several parcels of land to the federal government for the creation of national forests and received in return a large, contiguous block of acreage in Archuleta County. From the late 1800s until about 1930, the state owned the Archuleta County land that ultimately became the Piedra Valley Ranch. The Yates family, whose West Texas ranch became the famously productive Yates Oil Field, bought the Archuleta County ranchland from the state in the 1930s. Since then, the Piedra Valley ranch has had only four owners. The current owners’ family has owned the land since 1968, except for a brief two-year period in the 1970s. Piedra Valley Ranch stands out as a landmark property that has been only minimally improved. As such, the peace and tranquility of the natural setting are unrivaled for a property that is so easily accessed. Though future ownership can build to suit, improvements are limited to the owner’s residence, a lakeside cabin, cow-camp house and shipping pens. Located on a bluff at the southern end of the ranch, the main residence is tucked against the edge of the forest and blends easily into its natural surroundings. With six bedrooms and six and one-half baths, this tasteful mountain home serves as a comfortable gathering place for family and guests. The 6,400 sq. ft. residence includes a large kitchen and spacious great room featuring a massive stone fireplace and gallery of windows oriented to take in sweeping views of the ranch and surrounding peaks. The great room is oriented to the east and opens to a large deck that overlooks the property. A private caretaker’s apartment and 2,200 sq. ft. garage and shop are located at the back of the home and add to overall functionality and convenience. Sited at the base of Corral Mountain and just yards above O’Connell Lake amongst a stand of towering ponderosa pines is the historic lakeside cabin. This 1,577 sq. ft. cabin includes a kitchen, living area with fireplace, covered porch, three bedrooms, and one and three-quarter baths. Nearly 3 miles of internal road separates the cabin from the main residence. A cow-camp house and shipping pens round out the improvements. The cow-camp house is an older, 1,628 sq. ft. ranch home with three bedrooms and two baths. The shipping pens are of pipe construction with an easily accessible loading chute. Conveniently located along the County Road at the far northeastern edge of the property, the shipping pens and cow-camp house allow for cattle to be received or sorted and shipped without disturbing ownership. Unlike other significant properties with an abundance of existing improvements or commercial operations, Piedra Valley Ranch offers the opportunity to acquire a large block of beautiful and essentially undeveloped land that requires only minimal oversight. Combined with the fact that it is unencumbered by conservation easements, future ownership has freedom to utilize the ranch as they please. The La Plata Electric Corporation (LPEA) supplies power. Century Link provides telephone service. Water is provided by domestic well. The greater Pagosa Springs area is one of a select few locales in Colorado with an abundance of quality stream, river, and stillwater fishing. Not only does this abundance of water contribute to the area’s beauty, it provides a diverse set of angling opportunities both on and within a few miles of the ranch. At just over 11 acres in size, O’Connell Lake has long served as a favorite onsite fishery. This private lake is located at the base of Corral Mountain and provides anglers of all skill levels with the opportunity to land large rainbow trout in a scenic mountain setting. Anglers can choose to fish the lake from its banks or by plying its deeper waters with small skiffs. A small mountain creek, Devil Creek is home to small brook trout. As it flows through the property for over 2 miles, Devil Creek passes through a stunning narrow canyon and a series of ponds that hold brook and rainbow trout. Throughout the summer and fall anglers can sight fish to rising trout in the crystal clear waters of the ponds. Devil Creek originates on national forest lands just to the west of the property. From the property it flows several miles south and west to its eventual confluence with the Piedra River. O’Neal Creek is a small stream that originates on the property and meanders north and west through pastureland for over 4 miles. The creek is easily fished from its banks and harbors brook trout as well as the occasional cutthroat and rainbow trout. The point of origination for O’Neal Creek is located in the northeastern corner of the ranch at the confluence of Plumtaw and Cottonwood Creeks – with the headwaters of each creek located high on the slopes of Pagosa Peak to the east. Plumtaw and Cottonwood Creek each enter Piedra Valley Ranch from the east and run west for roughly 1/3 mile to their point of convergence. The confluence of O’Neal Creek and the Piedra River is one mile west of the ranch. Piedra Valley Ranch provides the easiest and arguably the best point of access to one of the premier sections of the Piedra River. Located within a couple of hundred yards from the northern property line, this portion of the river sits at the head of a narrow, 24-mile-long valley with two box canyons and is only accessible by foot. Here, the Piedra River is defined by long boulder strewn runs that drop into deep pools. Ample holding water supports a large population of wild browns, rainbows, and cutbows. In addition to its onsite fishery and proximity to the Piedra River, other rivers within a short drive of the property are the San Juan, East Fork of the San Juan, West Fork of the San Juan, Los Pinos, Florida, Blanco, Navajo, Conejos, Animas, as well as the headwaters of the Rio Grande River. Nearby creeks are Weminuche, Williams, Turkey, Vallecitos and Wolf Creek. Excellent stillwater fishing can be had at the Navajo, Echo Canyon, and Williams Creek Reservoirs as well as the Lake Capote Recreation Area. The tailwater section of the San Juan River below Navajo Dam is a one hour drive to the south. Any appurtenant mineral rights owned by the Seller are offered with the sale of the ranch. Most recent property taxes for the entire property were $9,041.12. Piedra Valley Ranch is home to a large resident elk herd that numbers between 100 to 200 animals. The herd size grows substantially throughout the fall as public land hunting pressure and snow push animals from surrounding mountains and national forest lands down and onto the property. There are a number of mule deer on the property and the general area is known for producing large bucks. In addition to the elk and mule deer, the ranch is inhabited by black bear, hundreds of Merriam’s turkey, grouse, waterfowl, and a plethora of raptors and song birds. Though capable of a larger sustainable harvest, an average of 10 to 12 bull elk are taken off the property each year as well as couple of mule deer bucks. The larger bulls harvested are typically in the 320” to 340” class with larger bulls taken every few years. Two bulls scoring in the 390” class have been taken off of the ranch with the latest taken by an archery hunter within the past 3 years. An outfitter leases the hunting rights to Piedra Valley during the rifle seasons. Success rates for elk during those seasons run between 80% and 100% each year depending on environmental conditions. The outfitter also indicates a 100% shot opportunity each year. In addition to the large resident herd, hundreds of migratory elk gather on the ranch each fall allowing for additional harvest opportunities. Some of these elk are large bulls that travel to the property from the trophy managed Game Management Unit (GMU 76) to the north. Piedra Valley Ranch is located in Colorado Game Management Unit 77. GMU 77 is designated as an over-the-counter elk hunting unit which means that bull elk licenses can be purchased by anyone for the archery and 2nd and 3rd rifle seasons. As with the rest of the State GMUs, the muzzleloader and 1st and 4th rifle seasons are available through the lottery draw process. However, there are also private land only licenses available for the 1st and 4th rifle seasons. GMU 77 is also known for trophy mule deer. While all mule deer licenses in the State of Colorado are available by draw only, Piedra Valley Ranch is large enough that it will qualify for participation in Colorado’s Landowner Preference Program. Through this program landowners can apply for and receive vouchers than can be redeemed for mule deer hunting licenses which can be used on the property. 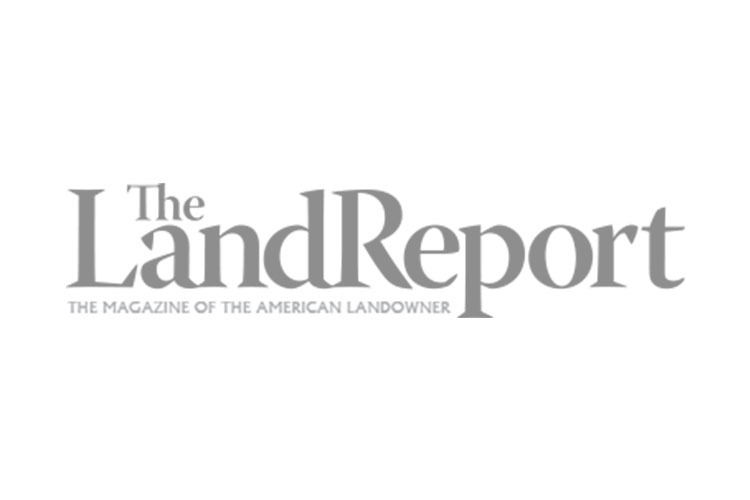 In short, a new landowner and their family and friends will be able to easily obtain hunting licenses and hunt the ranch every year. 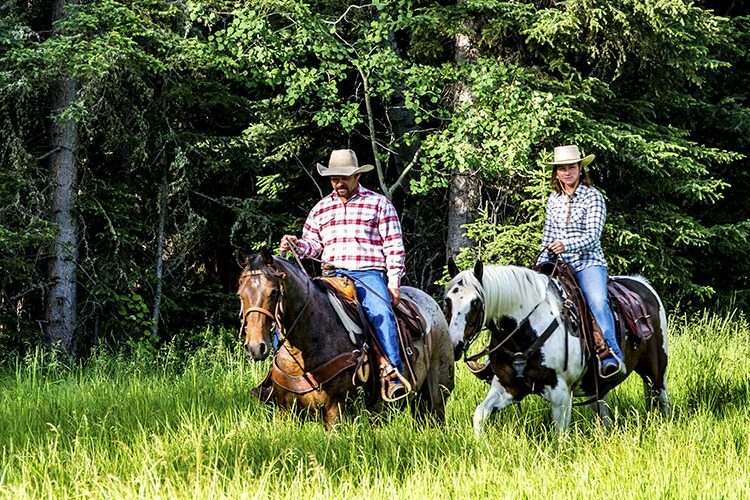 Piedra Valley Ranch provides a multitude of recreational opportunities within its boundaries as well as on thousands of acres of adjacent national forest lands. In addition to hiking, mountain biking, horseback riding, wildlife viewing, or hunting and angling, the ranch provides abundant winter recreational activities including cross country skiing and snowmobiling. The ranch is also a short drive from the Wolf Creek Ski Area, Pagosa Springs and its geothermal hot springs, the San Juan River, and limitless public lands. Receiving the highest annual snowfall of all of Colorado’s ski resorts, Wolf Creek Ski Area boasts an average of 465 inches a year. This tremendous ski area is just 34 miles from the ranch. Mesa Verde National Park and the high desert mesas of New Mexico are also an easy drive from the property. Additional recreational activities include boating and sailing at Navajo Reservoir, skiing at Durango Mountain Ski Resort, and a 27 hole championship golf course. In addition to its use as a retreat and gathering place, Piedra Valley Ranch has long been utilized for cattle grazing. A cattle tenant typically runs 700 yearling stockers on the ranch from May through early September. Carefully grazed and managed to hold wildlife, the entire property is perimeter fenced and cross-fenced into three large pastures - each with numerous water resources. Rich native grasses result in significant weight gains for cattle during the summer grazing season and the lease provides a good source of revenue for the ranch. 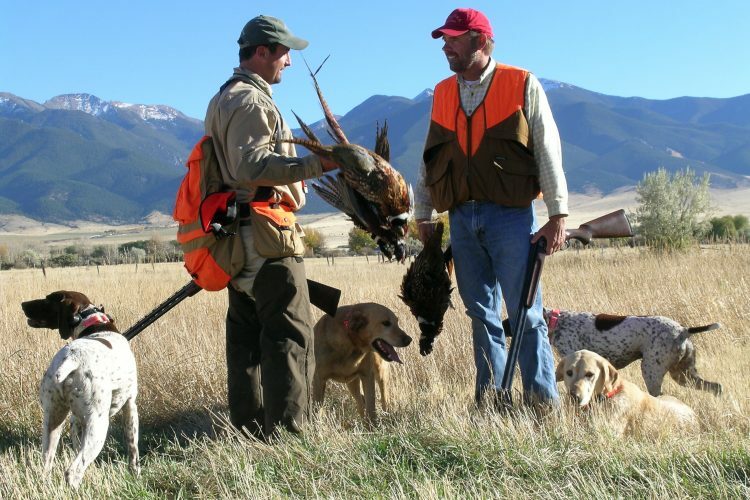 Additional income is derived from a hunting lease to one of Colorado’s most reputable outfitters. The outfitter leases the hunting rights to the ranch during the rifle seasons and has a high rate of success on bull elk. 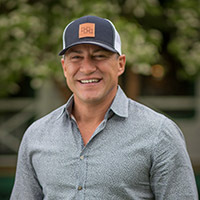 A full time ranch manager lives on site and takes care of day-to-day maintenance and security. The ranch requires little operational oversight for a property of its size and is ideal for an owner that wishes to come and go as they please. Because of its simple operations and easy maintenance, a new owner will enjoy the freedom to make changes to suit his or her needs and desires.